destruction to any nation hosting such outrages. 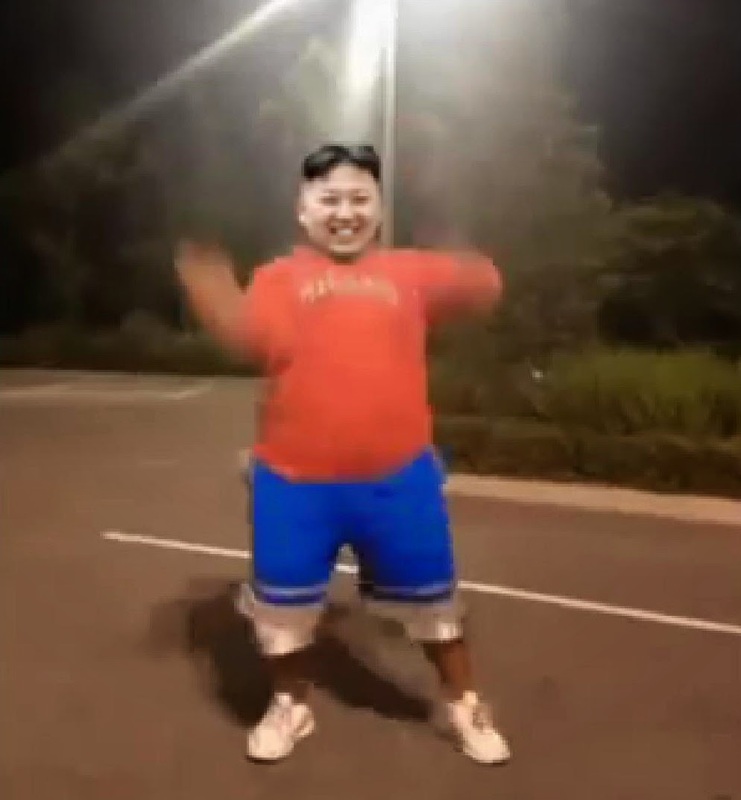 The latest unacceptable outrage deserving of immediate and merciless retaliation both here and in the afterlife is a video (above) showing supreme leader Kim Jong-un 's head cut and pasted onto dancing and fighting scenes from the Internets. North Korea has asked China to stop the spread of a video clip lampooning leader Kim Jong-un. According to a source in China on Tuesday, the North feels the clip, which shows Kim dancing and Kung-Fu fighting, "seriously compromises Kim's dignity and authority." Beijng was unable to oblige. Of course, we have no idea what sort of journalistic integrity is running the show at Chosun Ilbo … Could the report of the outrage be based on double-blind-counter-propaganda? Well, we don’t know, but the video is pretty funny and it’s not like the North hasn’t freaked out before. The video shows the supreme leader’s head on figures dancing on a baseball field, then dancing with pants falling down, fighting and dancing with Obama and other world leaders, skipping hand-in-hand with Osama bin Laden, arm-wrestling a buxom woman … and, most outrageous, riding a pig in a farmyard. Seth Rogen has laughed off protests from the North Korean government after it warned the U.S. faces “merciless” retaliation if his upcoming film “The Interview” is released. The “Knocked Up” actor is at the center of a political storm over his new action-comedy movie, about an American journalist who is recruited by the Central Intelligence Agency (CIA) to assassinate North Korean leader Kim Jong-un. The film is due to hit cinemas around the world from October, and a foreign ministry spokesperson for the Asian country has issued a series of complaints ahead of its release. Speaking through the state-run KCNA news agency, the representative brands The Interview a “wanton act of terror”, adding, “Making and releasing a movie on a plot to hurt our top-level leadership is the most blatant act of terrorism and war and will absolutely not be tolerated.